Training and Placement Cell of Desh Bhagat University organised a Joint Campus Placement Drive with Techi-Technology Pvt. Ltd., one of the leading IT Companies in India. The Company offers services such as Web and Mobile Application Development Services, Web Design & Re-design Services, Search Engine Optimization Services and many more. This drive was for the MCA & B. Tech (CSE/IT) students from the Faculty of Computer Science & Applications and Faculty of Engineering & Technology. During the Placement Drive, students were shortlisted through Written Test, Group Discussions & Personal Interview by company officials. After these rigorous rounds, the company selected 3 candidates for different positions such as Management Trainees, Software & Business Associates for their Mohali Location office. University Vice-Chancellor Dr. Shalini congratulated the selected students. While giving information about this placement drive, she said that the company will provide 6 months Industrial Training to the selected candidates in which it will pay them stipend after 3 months according to the students’ performance. The university has tie-ups with a number of national and international companies for training and placement of its students. The students are given practical exposure through frequent industrial visits and industry academia interface, she added. University Chancellor Dr. Zora Singh and Pro Chancellor Tejinder Kaur wished the students a bright future and advised them to work with full dedication and prove an asset for the organization in which they are getting jobs. Registrar Dr. Virinder Singh while congratulating the selected students thanked the company officials, hoping that this placement drive will prove a blessing for the students. 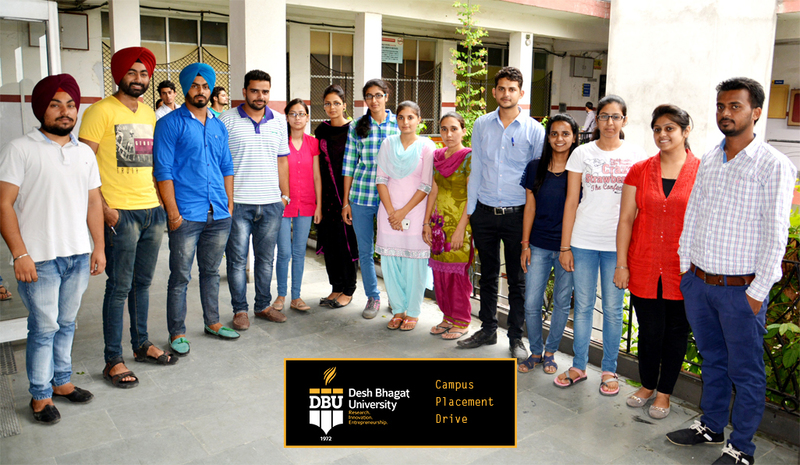 The students thanked the University for holding such placement drives from time to time.